Waikoloa Beach Golf Course Weather. 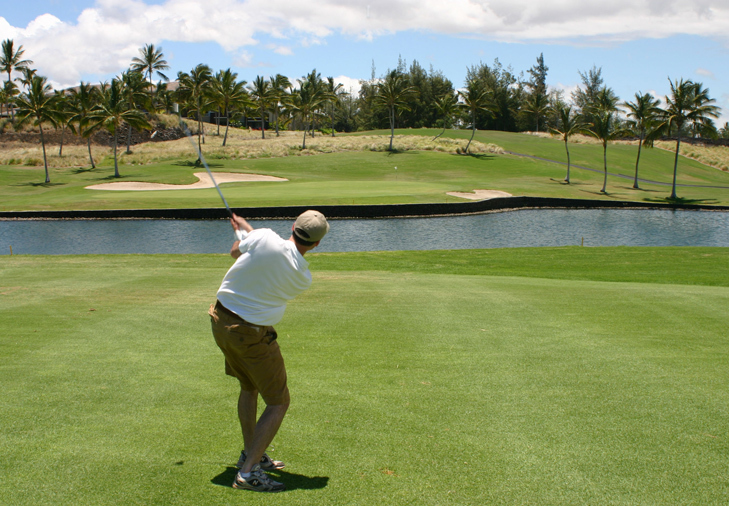 Waikoloa Beach Course Hole 2: The first par three on the front nine is over water the whole way. It looks more difficult than it is, however, as there is actually about 10 yards of grass between the water and the green, but this is indistinguishable from the tee, making golfers very nervous about coming up short. Waikoloa Beach Course Hole 5: The danger from the tee is obvious: don’t go left OB onto the road or right into the lava. 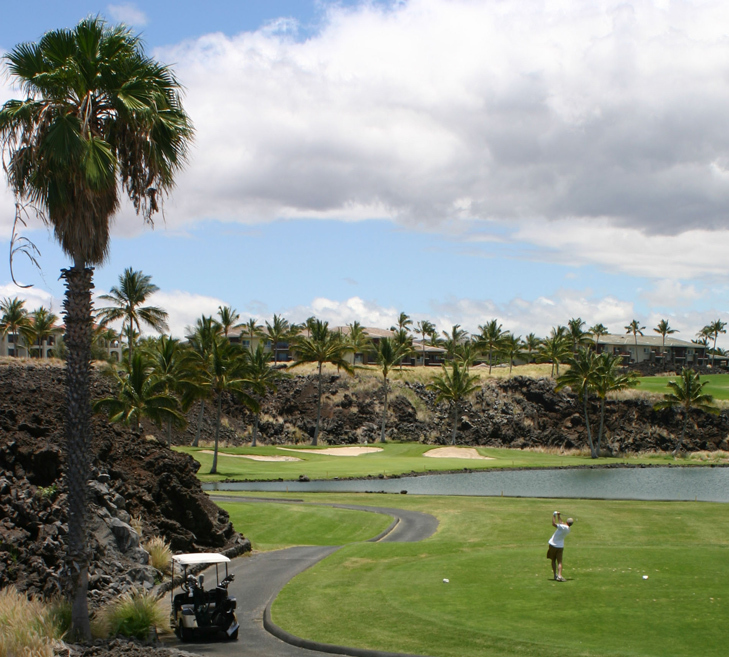 However, the extent of the dogleg right must be taken seriously as any shot to the right third of the fairway will be completely blind over the massive lava hill to any middle or back pin. The green is wide, but not deep, and bunkers and lava will gobble up anything short or right. ...of course, the approach to the green and second shot if needed, are not as easy. 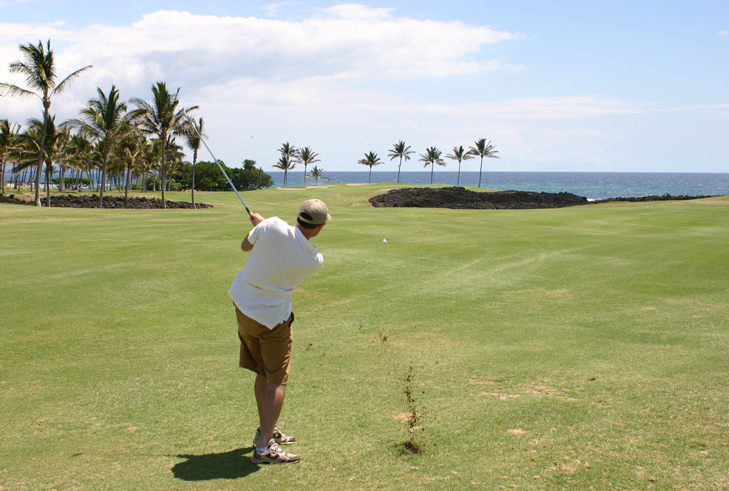 The lava and ocean are definitely in play on both and the golfer will be faced with the need for accuracy. Waikoloa Beach Course Hole 15: This par four has a rather unassuming drive that just must avoid the large bunker on the left of the fairway. 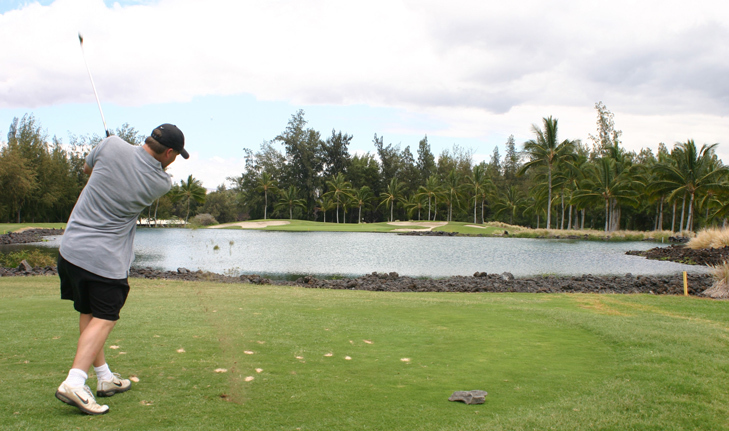 However, second shot is played over a lake that was hidden from the tee to a tiered-green. Waikoloa Beach Course Hole 17: This very difficult par 3 is visually intimidating, which is good because the golfer should be wary of how small the target is. The green is small and surrounded by trouble in the shape of water short and right, with bunkers and lava left and long.